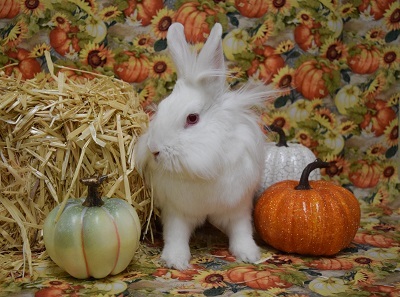 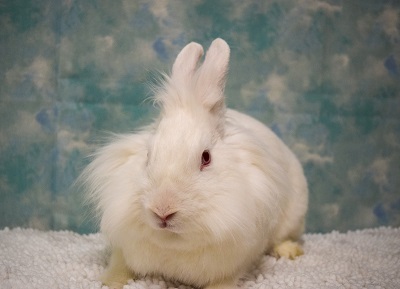 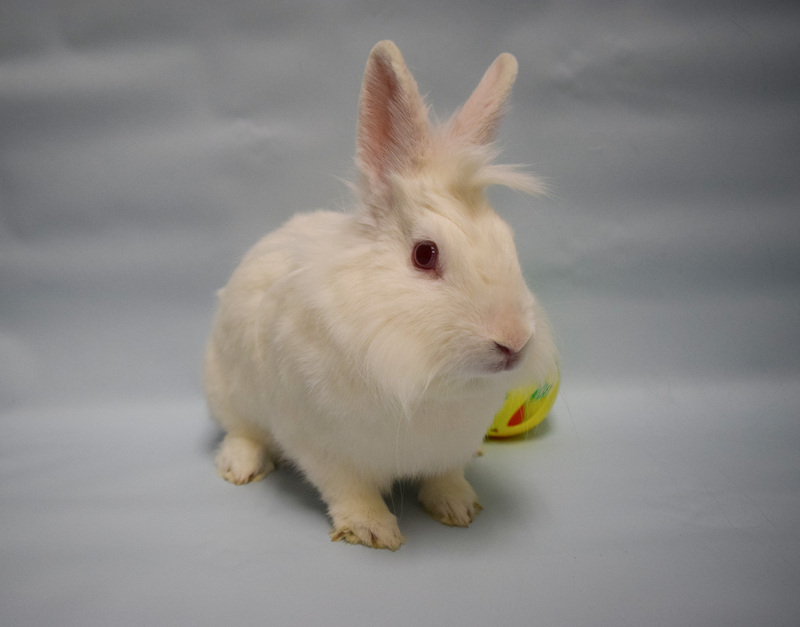 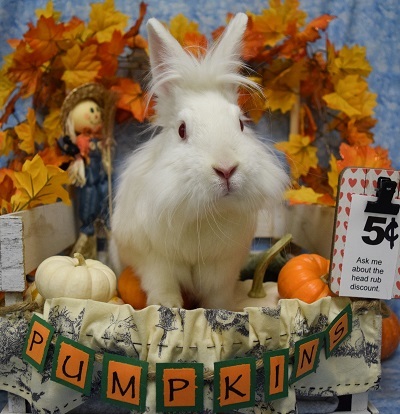 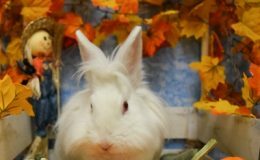 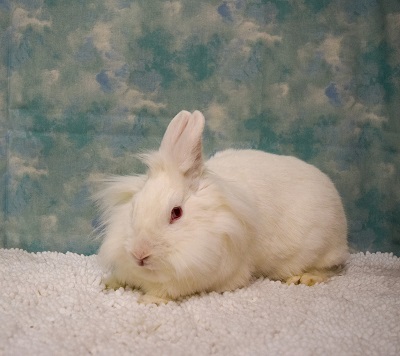 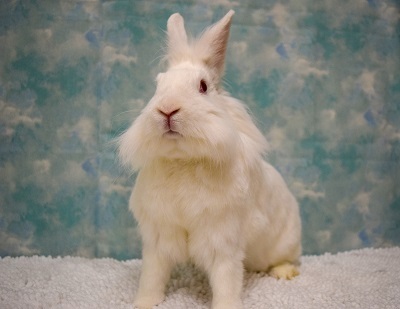 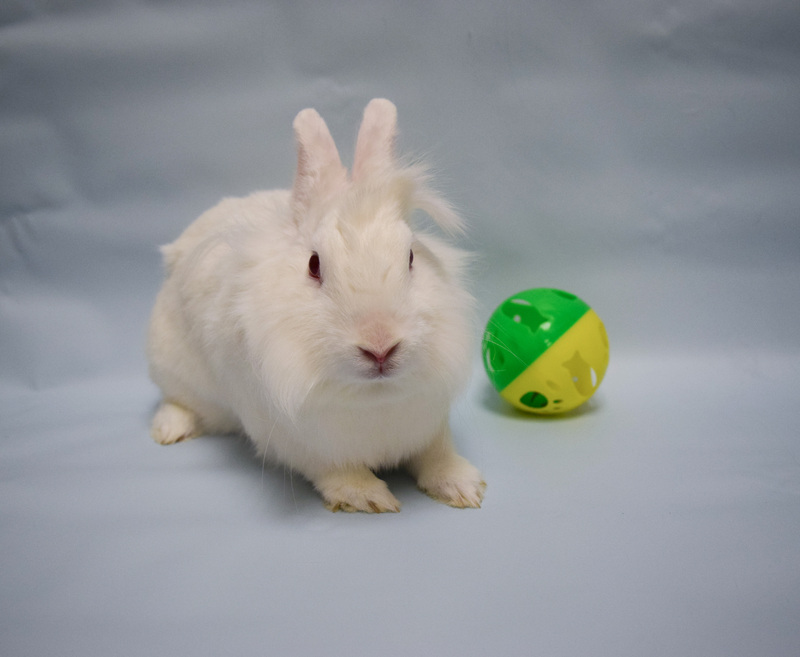 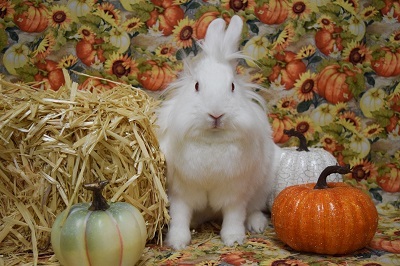 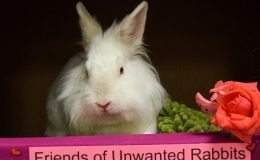 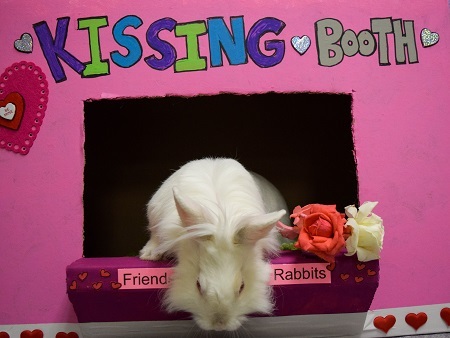 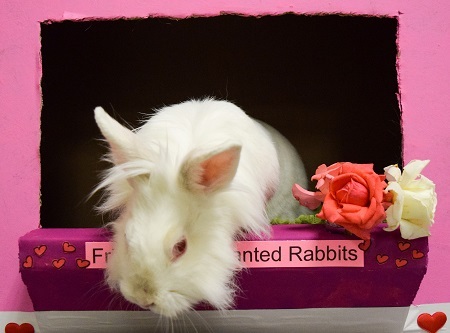 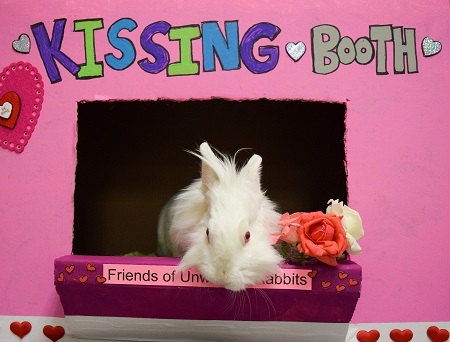 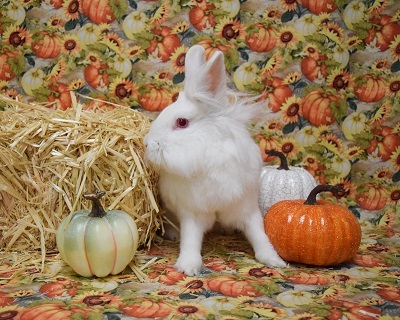 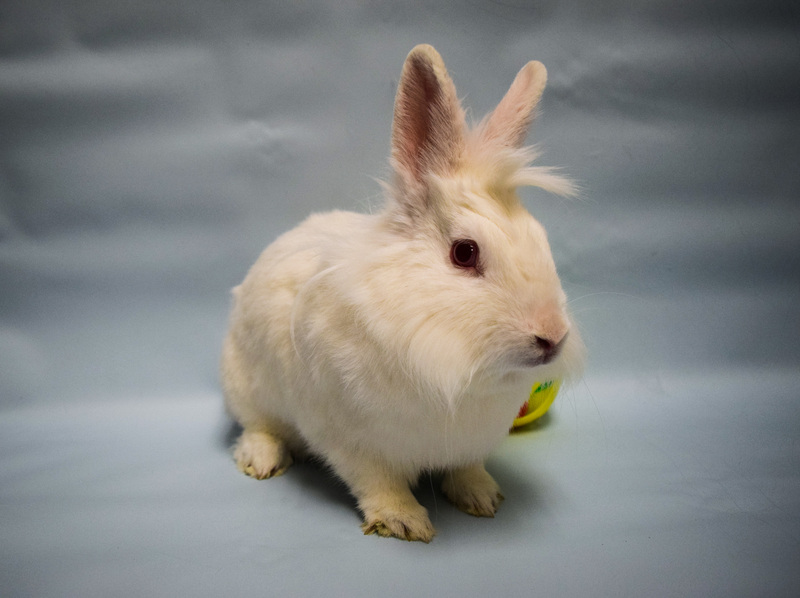 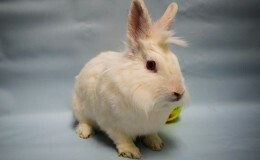 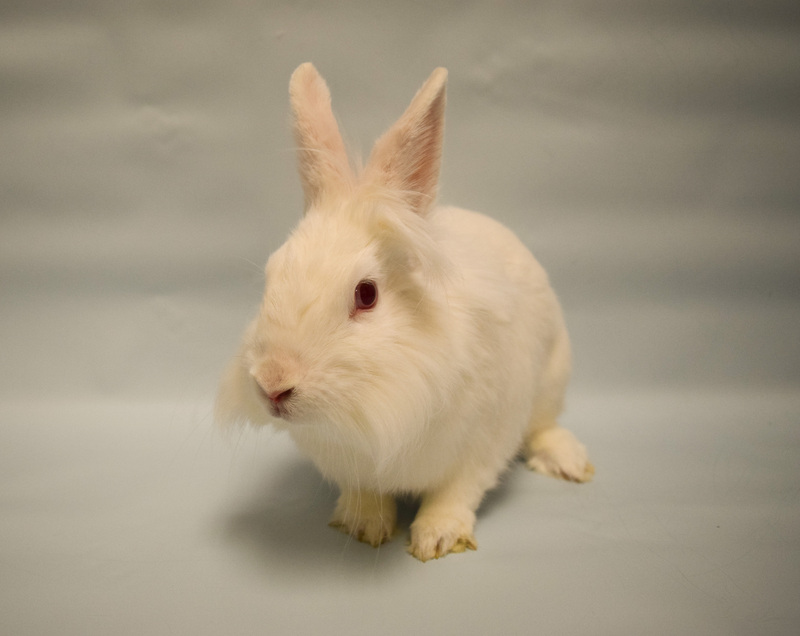 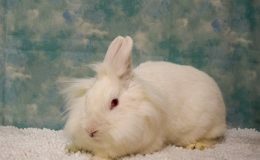 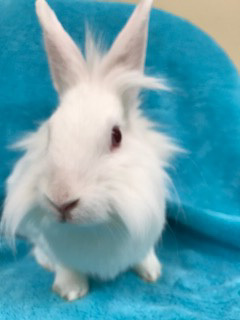 Storm is a darling Lionhead. 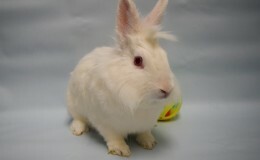 She is approximately 2 years old and is spayed. 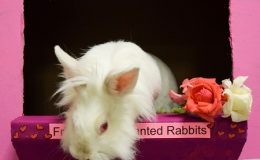 Storm was abandoned with her siblings in a field. 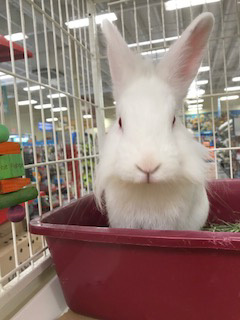 Storm is a playful girl. 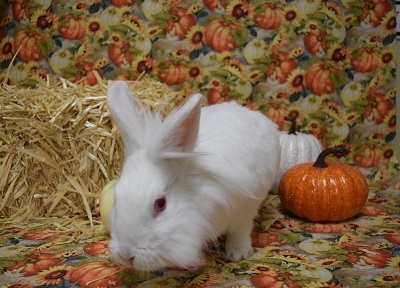 She is the calmer of the three siblings who include Snow and Snickers. 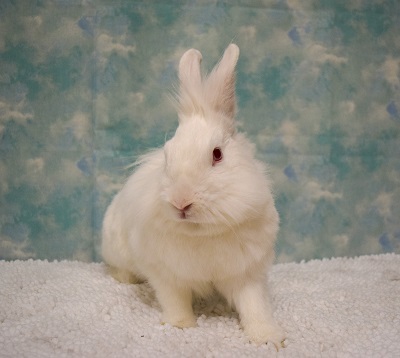 Storm warms up quickly for petting. 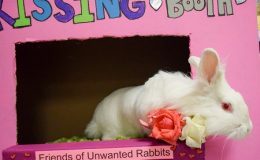 She loves to run in and out of boxes and tubes and toss her toys. 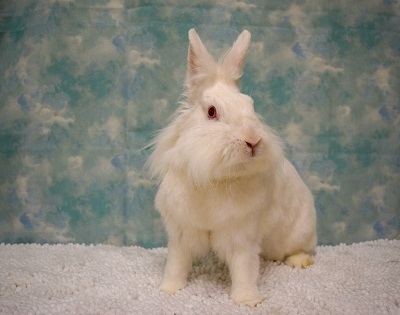 Storm was adopted Dec. 2, 2017, but sadly had to be returned a month ago. 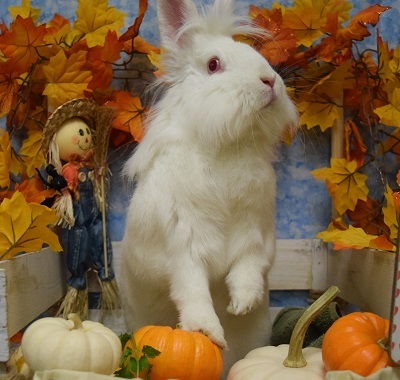 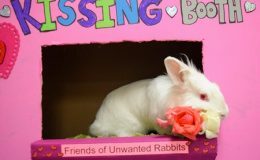 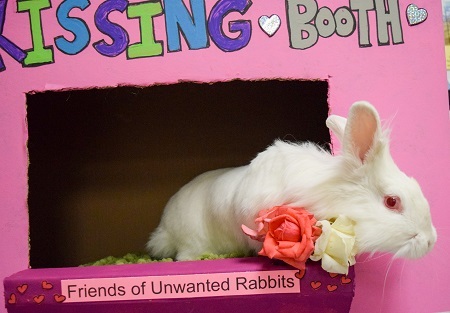 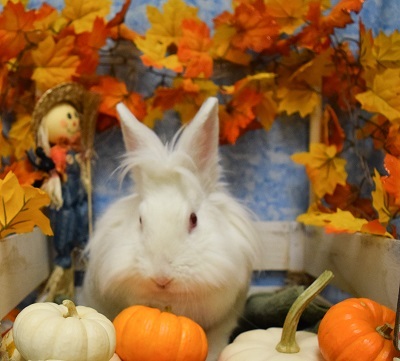 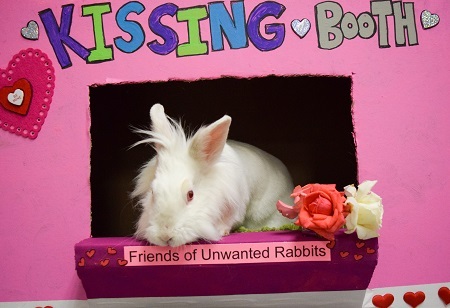 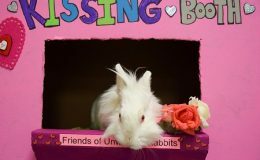 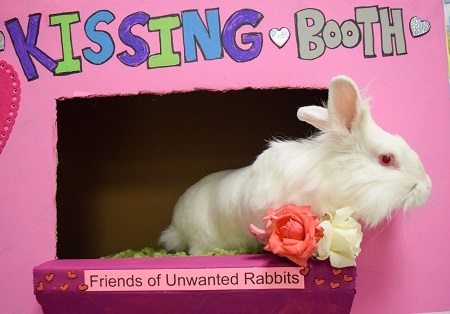 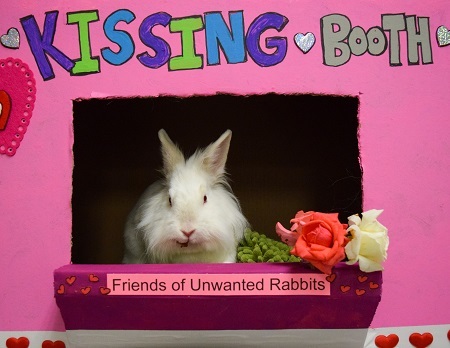 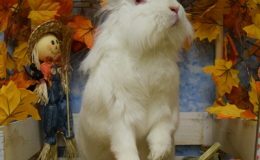 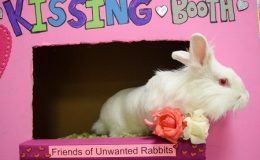 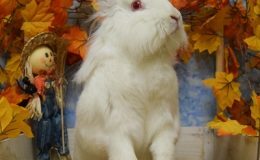 Her bunny Mom had to fly out of the country to take care of a very sick family member. 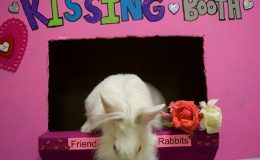 She is unsure if she will be able to return, so she made the very difficult decision to return Storm. 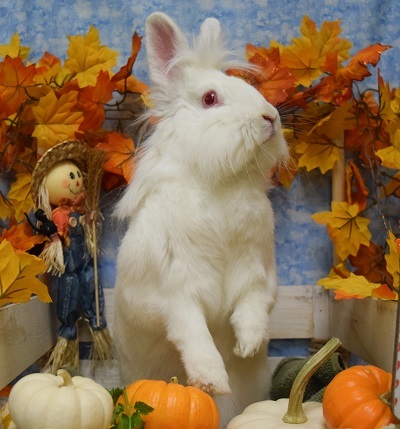 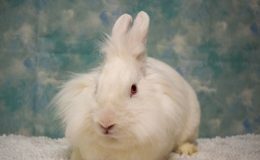 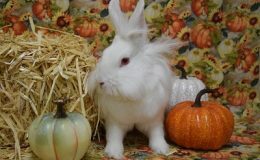 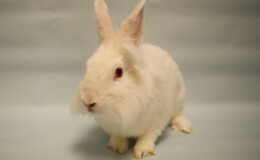 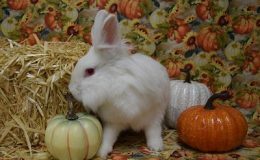 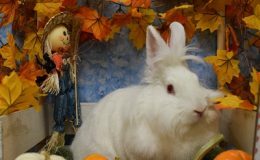 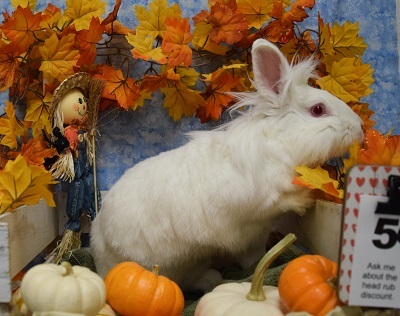 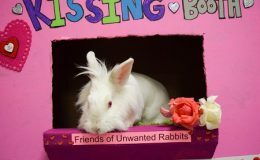 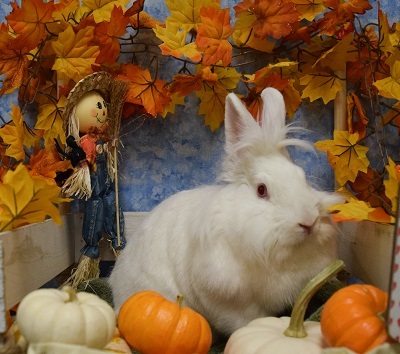 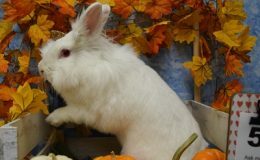 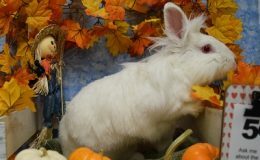 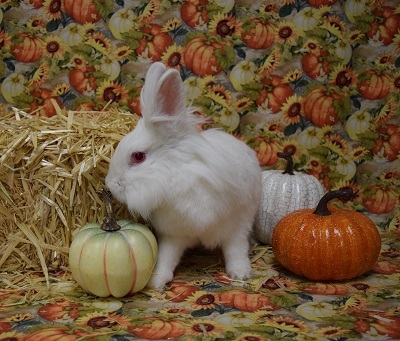 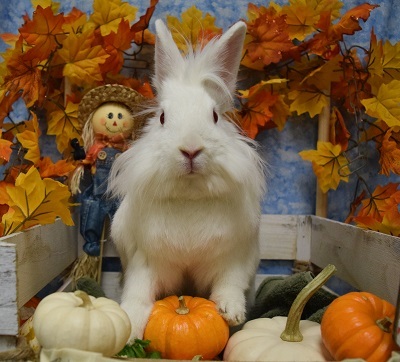 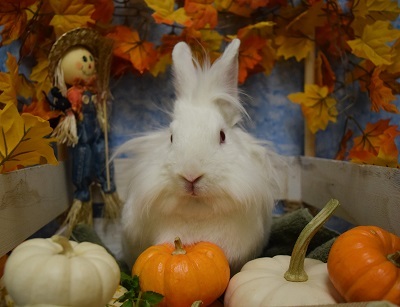 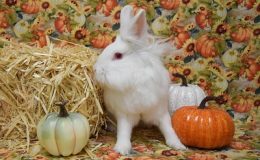 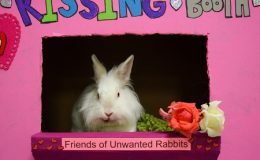 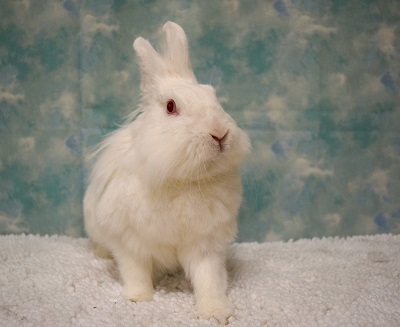 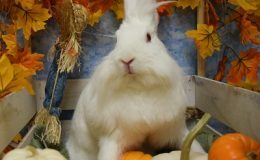 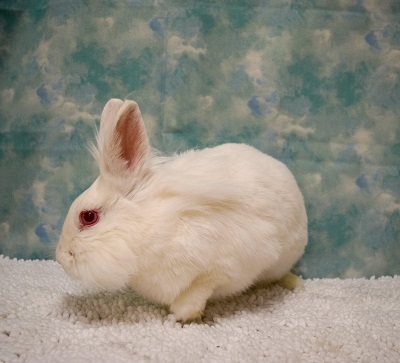 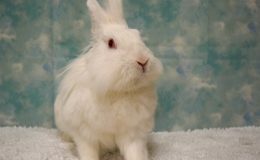 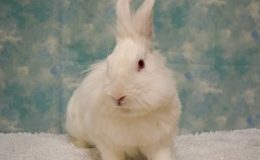 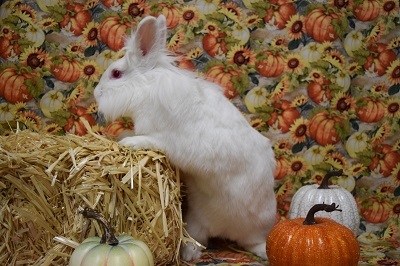 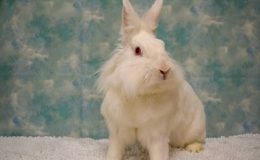 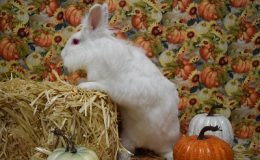 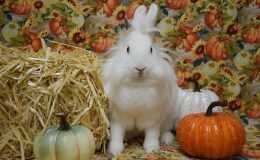 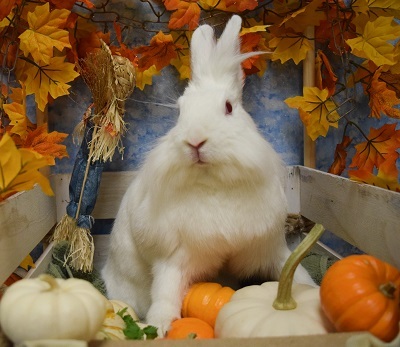 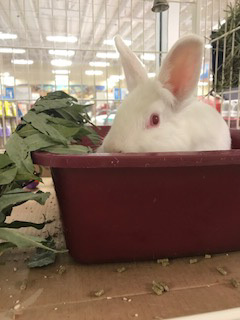 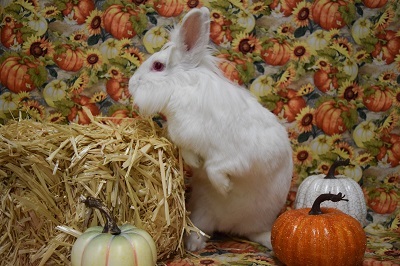 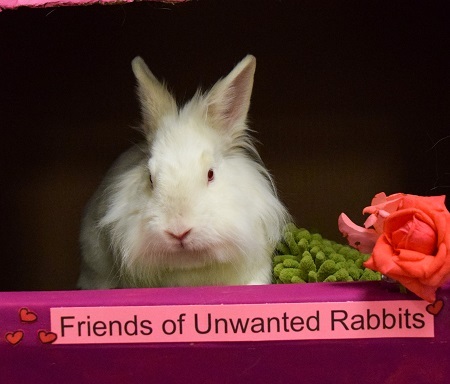 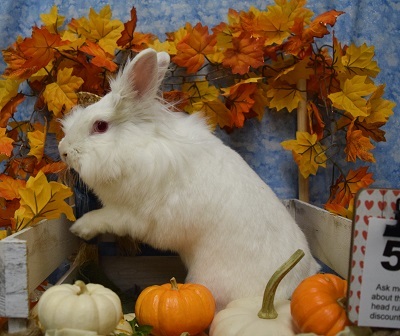 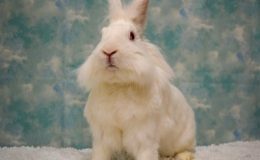 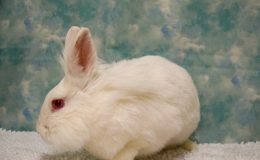 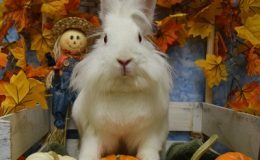 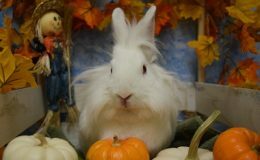 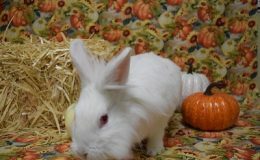 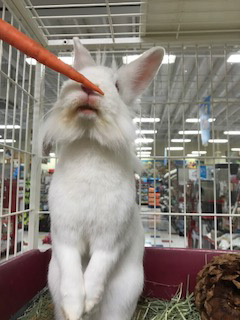 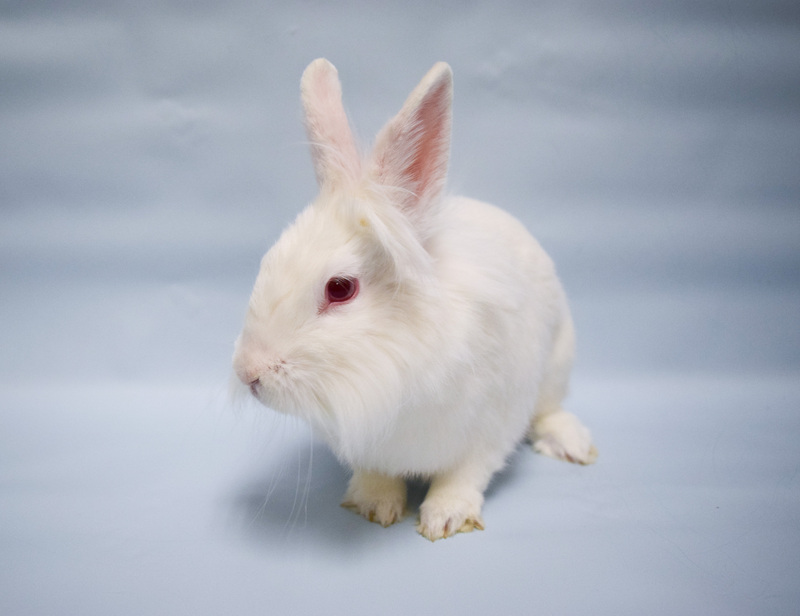 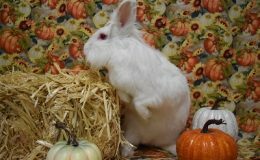 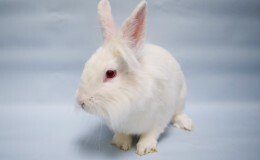 Storm was a free roaming bunny in her previous home. 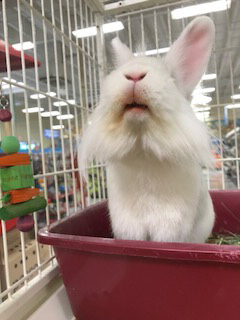 She has perfect litter box habits. 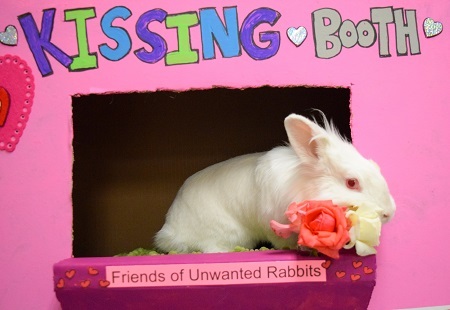 Storm likes to put on nightly binkie performances so she needs lots of room to play. 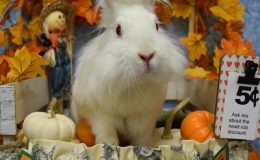 Storm was adopted to her forever loving indoor home as a friend for Charlie Brown 10/30/2018!! 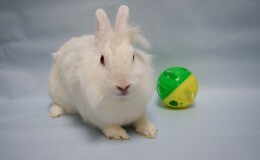 Adopter adopted Emma from us.